Real estate taxes are paid on the value of your land, house and other permanent buildings. When you think of taxes, you might most often think of the taxes paid on income to federal and state governments. Income taxes, corporate taxes and other taxes -- such as real estate and personal property taxes -- make up over a fifth of the revenue taken in by state governments. Real estate taxes are based on the value of real property owned by the taxpayer. 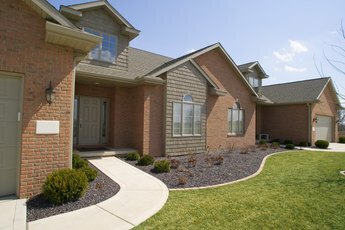 Real property consists of land and buildings that are permanently attached to the land, like homes and offices. Although each state sets its own laws regarding how real estate tax assessments are made, there is a largely universal process that each state follows. Real estate taxes are determined by multiplying the real estate value of the home or property by the tax rate set by your local government. By securing a lower assessment, the real estate taxes would be less. What constitutes taxable personal property varies by state. In general, personal property is that which is movable and is not "real" property. Examples of personal property often taxed by state and local governments are cars and boats. Like real estate taxes, personal property taxes are based on the value of the object being taxed. If you pay state, local or even foreign real estate or personal property taxes, you may deduct the amount paid on your federal income taxes. 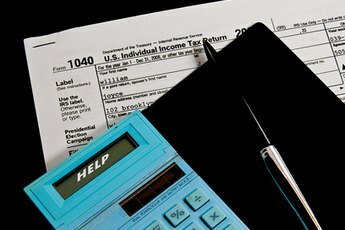 You must know the amount paid during your tax year and you must itemize your taxes in order to claim this deduction. Tax Policy Center: What Are the Sources of Revenue for State Governments? Can I Claim Vehicle Excise Tax on My Federal Return? Can I Claim Property Tax on My Federal Return? Can I Claim Land & County Taxes on My Tax Return Form? What is a Betterment Tax?